Friday’s Foto Fun – Happy Summer Solstice! Oh boy! Can’t wait to get to the beach. Sometime. Soon. I hope. Maybe. What are you doing to celebrate summer where YOU are? It’s Summer. And the living is easy. At least for a Scottie. Too bad it gets so darned hot. At least where We live. HEY! I’m going to the spa today. To get my furs tidy-ed up. All nice and handsome. I just love that. If YOU’RE all tidy-ed up and want to send me a picture for Friday’s Foto Fun, do it now! I double dare ya. It’ll be fun! This entry was posted in The Scottie Chronicles and tagged dogs, Gizmo, Misake, photography, Scotties, summer fun, Summer Solstice. Bookmark the permalink. 17 Responses to Friday’s Foto Fun – Happy Summer Solstice! 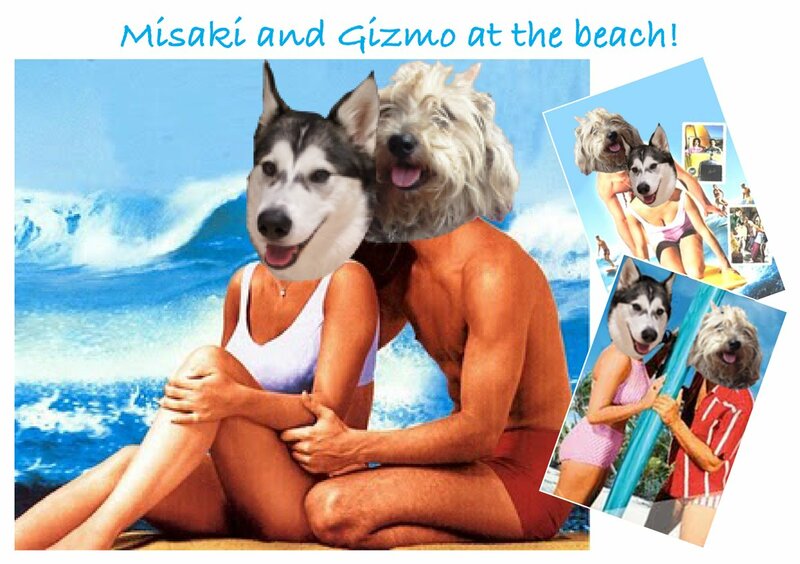 Now that Annette isn’t with us anymore, we still have Misaki and Gizmo. Mind if we snooze under the umbrella while y’all play in the sand???? come on Stuart…it’ll be great!!! Our day is supposed to be one second longer! We have a bit of a pagan fest here on Saturday, they light a huge bonfire at sundown, and the kids run around it, but mostly the humans just drink beer and eat wurstsalat.